The questions of corruption in North Bergen, New Jersey, just keep coming: is that town's mayor using federally funded workers and resources to benefit himself and his allies at the expense of poor families in need? And are workers who are now cooperating with criminal investigators facing retaliation? Chief investigative reporter Jonathan Dienst is again shining a light on what appears to be some dark corners of North Bergen. The Housing Authority say similar claims have been made by political opponents of the mayor in the past, and "they have no merit"
Public housing workers paid with federal tax dollars were ordered to leave their jobs to instead work a North Bergen Town picnic hosted by that town’s mayor, News 4 has learned, raising even more questions about possible corruption. A June 14, 2017, memo obtained by News 4 shows North Bergen Housing Authority Director Gerald Sanzari ordering all personnel "to assist at the function. Please do not request 9-13-17 off for a vacation day." Photos from the September 2017 event show the picnic for seniors with signs promoting Mayor Nicholas Sacco. Workers were given shirts to wear bearing the mayor’s name. Two senior Housing and Urban Development officials told the I-Team in a conference call that the use of federally funded workers at a town picnic is "unacceptable." Former federal prosecutor Robert Ray said in his opinion "it is corruption." "That’s a compulsory misallocation of government resources including federal tax dollars," Ray said. "That’s a problem. Federal tax dollars are meant to be used for the public good. They are not meant to be used for the benefit of someone’s political prospects." A spokesman for Sacco said North Bergen’s Senior Citizen’s Picnic is attended by over 1,000 seniors and that housing authority workers are ordered to work the event because some seniors who attend are residents at the NBHA. "The event is not political in nature and the speakers at the event generally include elected officials acting in their official capacities," Sacco spokesman Phil Swibinski said. The latest allegations of misuse of federal resources come amid previous reports of abuses at the NBHA. Current and former workers have alleged the NBHA operates in part to benefit the mayor and his allies. The I-Team first reported on no-show job allegations involving NBHA Security Director Geoffrey Santini, who is an ally of Sacco. Santini was fired after the I-Team stories aired, and he has not returned repeated requests for comment. On Thursday morning, HUD officials confirmed the I-Team's previous reporting that as many as 11 public housing units meant for poor families were instead given to NBHA employees -- some who are supporters of Sacco. HUD officials also confirmed some of those workers' salaries were underreported in the system so they were billed a cheaper rent. Allegations of corruption keep growing in North Bergen, stretching from a public housing complex to possibly into that city's town hall. More whistleblowers -- current and former insiders -- claim some apartments meant for the needy are instead going to friends and supporters of North Bergen's mayor. Jonathan Dienst reports. "Obviously that is preferential treatment. That’s a misallocation of resources," Ray said. "It’s an optical problem. It’s an ethical problem and it may be a criminal problem as well." HUD officials said they are now ordering seven of those employees to move out of the NBHA units so those apartments can be provided to needy families on the waiting list. The NBHA spokesman Phil Swibinski, who is the same spokesman used by the mayor, said the NBHA "intends to fully cooperate with HUD’s direction on this matter and is in the process of adjusting its policies and procedures." Earlier this month, the NBHA fired six of its workers. None of the fired workers have been linked to the corruption questions raised by News 4 and none are believed to have close ties to Sacco. Some workers claim there was a ‘witch hunt’ to try to get at insiders involved in trying to expose corruption to criminal investigators and the News 4 I-Team. If true, former federal prosecutor Robert Ray said the U.S. Attorney or State Attorney General needs to act. "That is a major criminal problem involving obstruction of justice and if that is shown, there will have to be some people at some high levels who will have to answer for that," Ray said. 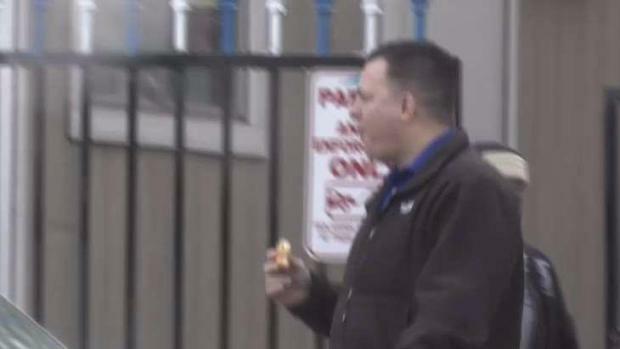 After an I-Team report exposed that a security director for the North Bergen Housing Authority had what amounted to a no-show job, at least one town has ended its contracts with the man's animal control business. Jonathan Dienst reports. Attorney Mark Tabakin handled the investigation that led to the firing of the six workers. An official close to NBHA directors claimed the six workers were fired because they had lied to try to help cover-up the no-show job allegations involving Santini. But NBHA spokesman Swibinksi then issued a statement claiming the firings had nothing to do with the no-show job matter. But Swibinski offered no specific explanation for the firing of the workers, calling it a "personnel matter for which no further comment will be made." "The NBHA has complied fully with both the internal and external investigations into this matter and will continue to do so," Swibinski said. "Any implication that the NBHA is obstructing any investigation is absolutely false."